You have planned a picture-perfect fairytale wedding, right down to your wedding gown with a long flowing train and ‘glass slippers.’ Does it sound like a scene from the closing scenes of Cinderella? It just might if you knew that the ushers and greeters would be dressed like the coachmen of days gone by. Then the celebratory banquet after the ceremony at the church with its sparkling candles and silvery stars suspended from the ceiling makes for an amazing end to an amazing day. And now for the honeymoon! Have you considered a Honeymoon in Maldives? You can get to spend idyllic days and nights in a land that exudes magic from the glistening sandy beaches to the cottages on stilts. You’re not familiar with the Maldives, you say? Check out the honeymoon packages by 1dasia and then you’ll understand why this island paradise is truly a land of enchantment. Oddly, with more than 1100 tiny, tiny islands, you’d think that everyone must know about this lovely land of sun and water. Yet, that is not the case. Located in the Indian Ocean to the south of Sri Lanka, the Maldives is a separate nation from India but maintains close economic and military ties to a land it was once considered a part of. There is no end to the lovely white beaches that literally scream romance, and if you are looking for a honeymoon far away from noisy, bothersome crowds, the Maldives would be the place to go. When traveling to the Maldives from the UK you won’t need to apply for a visa, but you may want to be aware of which vaccines you should have before departure. Recommended vaccines for all travelers include Hepatitis A and B, Typhoid, Tetanus, and Tuberculosis. Luckily most of us have already had these shots and therefore will not need any new vaccinations to safely travel to the Maldives. However, if you plan on traveling to Africa or India on another leg of your honeymoon, those requirements may differ, so don’t forget to check that out before finalizing your itinerary. 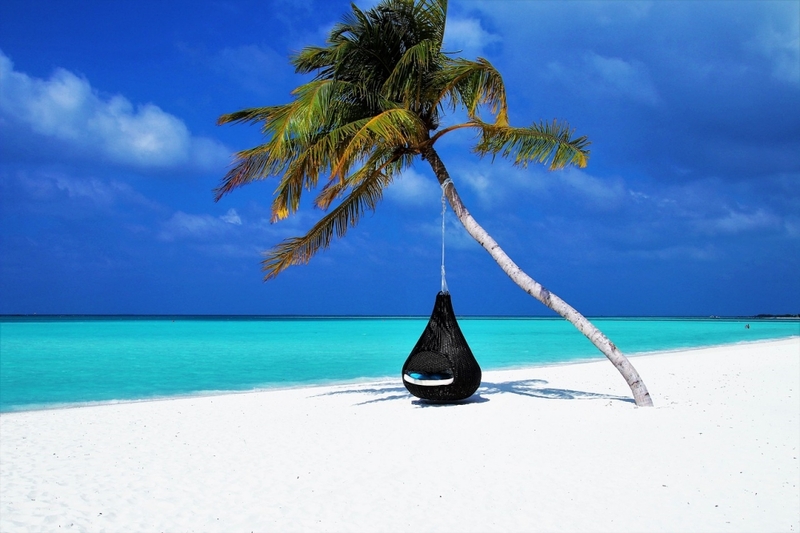 Although the Maldives is an ideal destination during any season due to the pleasant year-round weather, if budget is a factor you’ll want to go between the months of May and August. However, be aware that this is the rainy season and monsoons are common, so be sure to check the weather to make sure there aren’t going to be torrential downpours during your entire stay. On the other hand, if you want the best experience that the Maldives has to offer then you should go between the months of December and April, during which time there are very few storms to spoil your stay. It is also the time of year where it is cold in other parts of the world, especially in the UK where you may be literally buried under feet of snow! Booking all of your accommodations separately and independently can be quite the hassle, especially if you’re trying to arrange the kind of experience you can get from an all-inclusive honeymoon package. By opting for a pre-made package you can eliminate the stress and guesswork involved in making the individual reservations and itineraries yourself. Instead, you’ll be able to relax and enjoy you stay with a slew of activities and tours already laid out for you. What a perfect backdrop those crystal-clear waters and white sandy beaches make for honeymoon photo ops. Imagine a school of dolphin rising up out of the water behind you as you snap away those memories of a lifetime. You can be sitting on the shore drinking tropical drinks, walking in the sand or even standing in front of some amazingly beautiful buildings. Bear in mind that the entire range of islands is home to only slightly over 1/3 of a million people and you’ll understand just how easy it is to find a romantic place for those Kodak moments. Just as in a movie, if you put the entire package together, you’d see that this is where the perfect fairy tale wedding has it’s ‘wrap.’ It’s the beginning of a life together as husband and wife and what better land of natural beauty, surrounded by water in a place where you won’t be bothered by teeming crowds in an overpopulated city. Could you want for anything more? Plan the Maldives for your honeymoon and you’ll have enough romance to carry you through a very long and perfect union as the couple you were meant to be.